Super Screen Capture 3.1 is functional and all-in-one screen capture software. It allows you to capture a screen in a lot of ways, containing full screen capture, window capture, directx capture, sound record, region capture, scroll capture, and video screen capture etc. 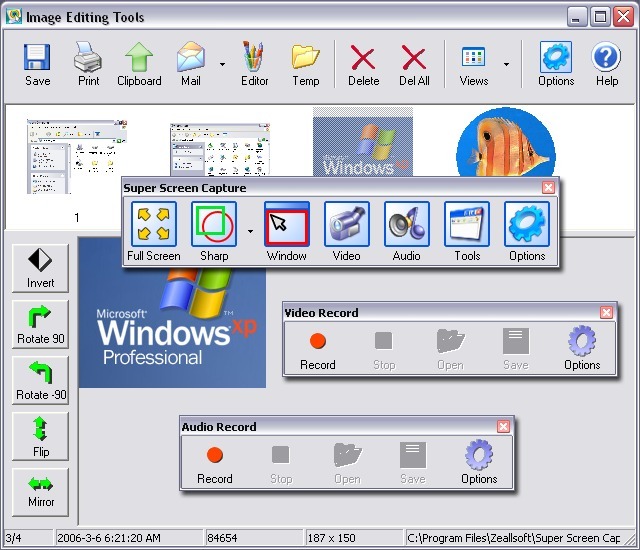 The Super Screen Capture is extremely useful software for screen capture which comes prepared with its own editor. It includes temp folder, editor tool, printer, clipboard, e-mail, and all well-liked formats. It will specially suit making tutorials, demos, and training videos. It has an intuitive and easy to use interface..